Ruth of Genealogy is Ruthless without Me was kind enough to award me the "Happy 101" blogger badge in January (that's like 10 years ago in blogger time!). I was away during my dad's illness, so I forgot about it at the time, but remembered again recently. I'll pass this along to a few bloggers whose work makes me happy when I read it: "Make a Roux" (a CaliCajun like me, but who can actually cook! :) ), Dionne at Finding Josephine (compelling stories of chasing down her ancestry), Lisa at Adventures in Grave Hunting (fun celebrity graving and SoCal history), and Louisiana Genealogy Blog (whose author does a great job of keeping me up on Louisiana genealogy news). I was looking for a newer blog (or new to me) to encourage and found one by 5th-graders in Quebec called "All Things Quebec." 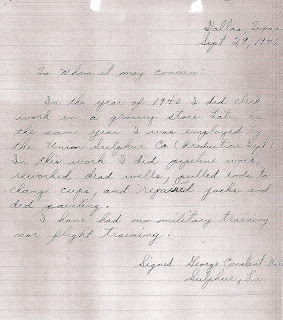 Seeing kids blogging, especially about their history, makes me VERY happy! Their teacher is Evelyn from a blog I already read, A Canadian Family. 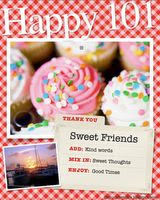 Oh, and Aunt Martha's birthday cards of my post title? They were always late, but knowing I still had something coming after my birthday made me happy, not unlike my late acknowledgement of this blog award. :) Thanks for the encouragement, Ruth! Today we have my PATE line, from my maternal grandmother. Corrections, additions, and questions welcomed; this is a work in progress. Numbers refer to ahnentafel (pedigree chart) numbering. Sources available; see my blog for contact info. Newton King Brady Pate and sister Serena Pate McFarland, c. 1930, probably Ringgold, La., photographer unknown. Privately held by the Hall family, La. 6. Alvin Jasper STEVENSON. Born on 1? or 2 Feb 1897 (We always thought it was Feb. 2, but recently discovered a couple of records with Feb. 1! Typos?) in Athens, Claiborne Parish, LA. Alvin Jasper died in Sulphur, Calcasieu, LA, on 6 Nov 1974. Buried in Athens, Claiborne, LA (Tulip Cemetery). 7. Edna Maud PATE. Born on 17 Mar 1896 in Heflin, Webster, LA. Edna Maud died in Lake Charles, Calcasieu, LA, on 13 Mar 1986. Buried in Athens, Claiborne, LA (Tulip Cemetery). 14 Newton King Brady or Bradie PATE. Born on 30 Dec 1852 in Sparta, Bienville, LA. Newton King Bradie died in Ringgold, Bienville, LA, on 15 Mar 1932. Buried in Ringgold, Bienville, LA (Pleasant Grove Cemetery). 15 Etta Orisca COTTER. Born on 19 Mar 1859 in Ringgold, Bienville, LA. 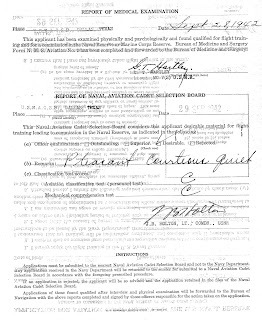 Etta Orisca died in Ringgold, Bienville, LA, on 27 Jun 1937. Buried in Ringgold, Bienville, LA (Pleasant Grove Cemetery). 28 Anthony William PATE. Born on 11 Jun 1812 in Smith or Jackson Co., TN. 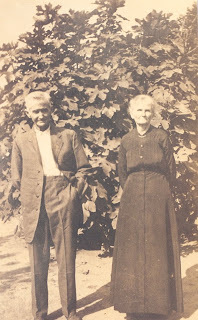 Anthony William died in Heflin, Webster, LA, on 13 Jul 1894. Buried in Heflin, Webster, LA (Bistineau Cemetery). 29 Emily Lena (or Lena Emily), "Emily" SMITH. Born on 25 Jan 1824 in AR. Emily Lena died in Bienville Parish, LA, on 11 Apr 1896. Buried in Heflin, Webster, LA (Bistineau Cemetery). 56 Willeroy PATE. Born abt 1773 in Bedford Co., VA? Willeroy died abt 1844 in Smith Co., TN? Buried in Jackson County, TN. 57 unknown. Born abt 1775. 112 Anthony PATE. Born abt 1740 in Bedford Co., VA? Anthony died abt 1805 in Jackson Co., TN? 224 Edward PATE. Born bef 1732 (1703? 1713?) in VA? Edward died bef May 1768 in Bedford Co., VA.
225 Martha TINSLEY? Born abt 1702. "Our culture is threatened, our coastal economy is threatened, and everything I know and love is at risk. Even though this marsh lies along coastal Louisiana, these are America's wetlands." --Rep. Charlie Melancon, with great emotion and with voice breaking, in testimony to a House subcommittee today. 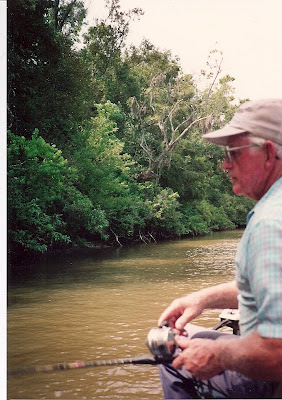 Although these photos were taken in Southwest Louisiana (all in 2007 except the last photo), similar scenes of marshland, beaches, and both recreational and commercial freshwater and saltwater fishing can be found all along and near the Gulf of Mexico. 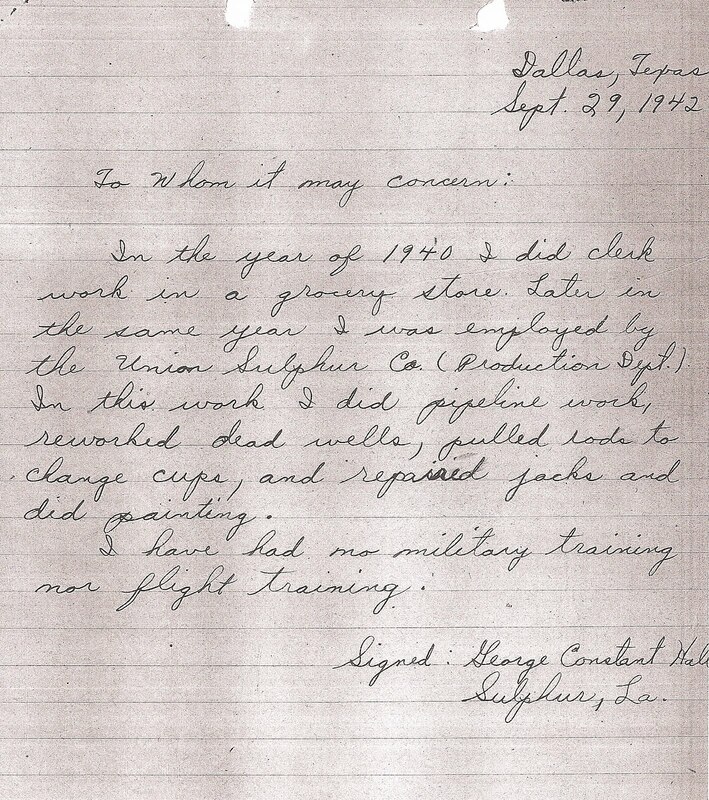 Some of the most interesting things were in Dad's initial application to become a Naval Reserve aviation cadet: a handwritten letter from Dad, recommendation letters, the most handwriting of my Grandpa Hall's (on a form) that I've ever seen, and dad's high school transcript, not to mention his photo at age 20, looking a lot like my nephew (those ears! those curls!). 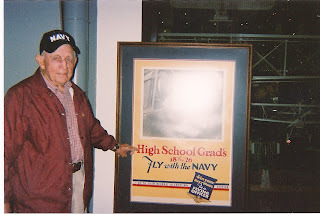 Dad graduated in 1940 and, knowing the draft was coming, thought he'd join the Navy after hearing about it from his brother Bob. 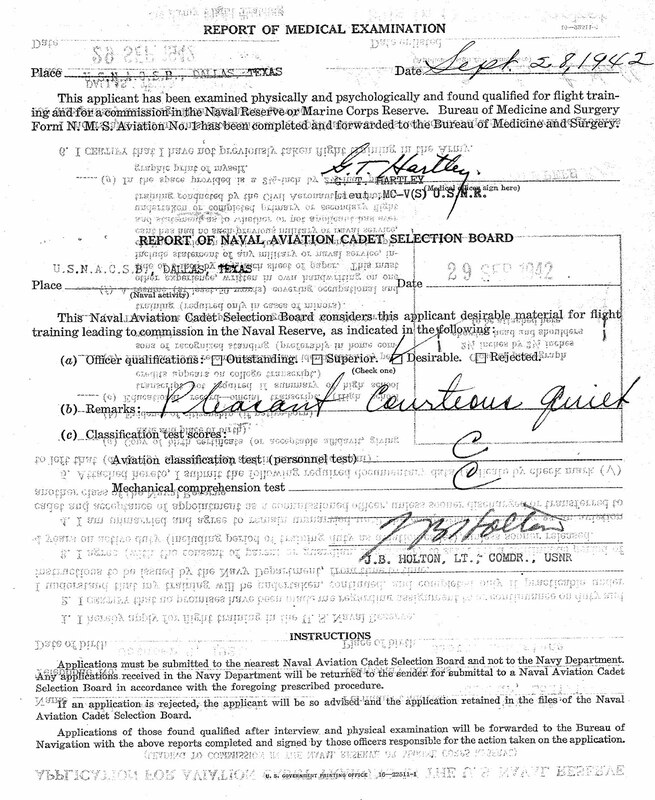 Then he saw a newspaper ad saying high school graduates could apply for the Navy's aviation training, and that was it for him. 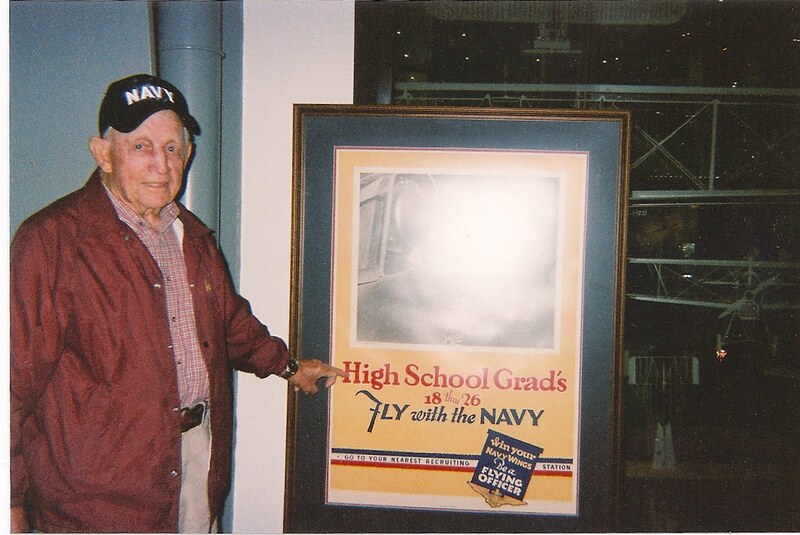 George Hall, December 2008, National Naval Aviation Museum, Pensacola, FL, with the ad that started it all. Photo courtesy of my sis. For more, read my Part 2 post here. • I had a "blogiversary" in January which I missed, but that's OK, I didn't blog much last year anyway. I have blogged a lot more this year, which makes me happy, I think. Sometimes I think I'd get more genealogy done without blogging, but I did acquire a "new" cousin recently whom I actually met in person (and liked a lot), so there's that! And I like having a writing outlet that's all mine. 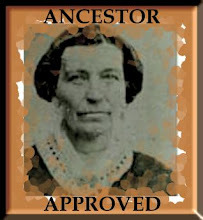 • Both Linda of "Flipside" and Dionne of "Finding Josephine" awarded me the "Ancestor Approved" award a month or so ago and I'm grateful for the encouragement and will blog about it soon also. Thanks, Linda & Dionne! • I also need to update a few things on some previous posts. I have some names now for my Crossroads, LA basketball teams and also a detail or two about my second-ever blog post, re Grandpa Hall (nothing earth-shattering, just a couple of interesting tidbits). 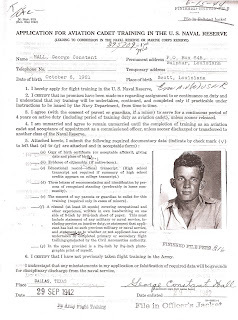 • I recently received my dad's military file, which I'll begin posting soon. I knew the kinds of info it might contain, but didn't realize how fun it would be to go through and was surprised at some of the contents. (Not So) Wordless Wednesday: My dad's "Pacific"
I've been watching HBO's WWII-focused miniseries "The Pacific" and enjoying it. I think my dad would have enjoyed it, though I'm sure he would have preferred more on the Navy and naval aviators like himself. :) So here's a shout-out to Dad and his buddies. George Hall (standing 2nd from R), possibly with the VF-6 air group attached to the carrier USS Hancock, 1945, at N.A.S. Hilo, Hawaii. Photographer unknown, but probably an official U.S. Navy photograph, privately held by the Hall family, La. Unfortunately, this photo was not labeled except for Dad's interesting note about himself. The names of the others may be in a book our family owns, and I will certainly post more info if I find it. 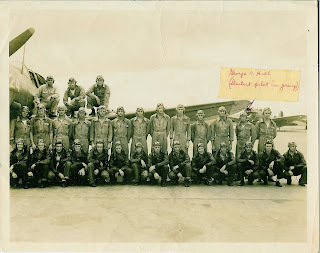 I am not positive, but this is probably the VF-6 air group my dad flew with from the aircraft carrier USS Hancock. It could also be a group he trained with. 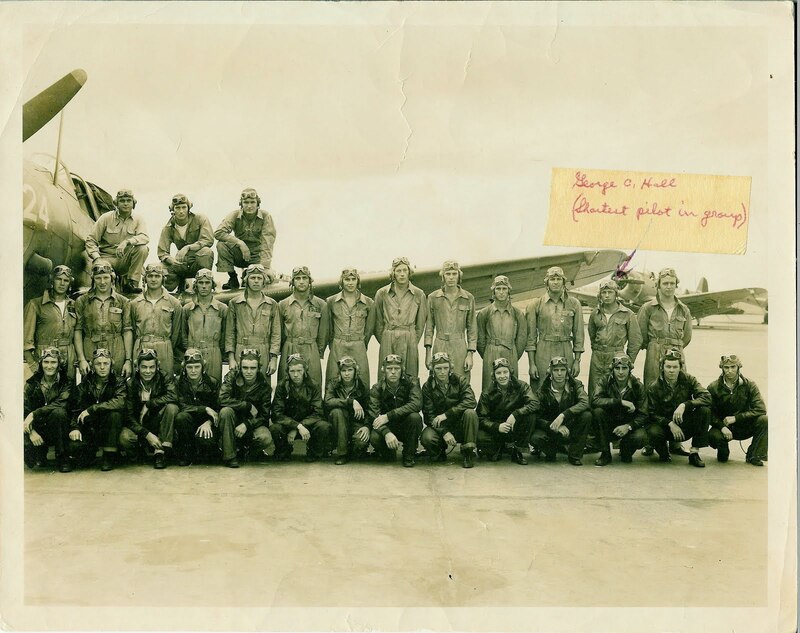 But it looks like an official Navy photograph, so I'm guessing it's the air group, unless portraits were taken of "graduating" classes of naval aviators? 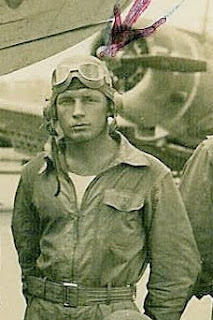 Dad initially trained on dive bombers, switched to fighters when the Navy needed more fighter pilots, and flew the F6F Hellcat in the last year of the war. 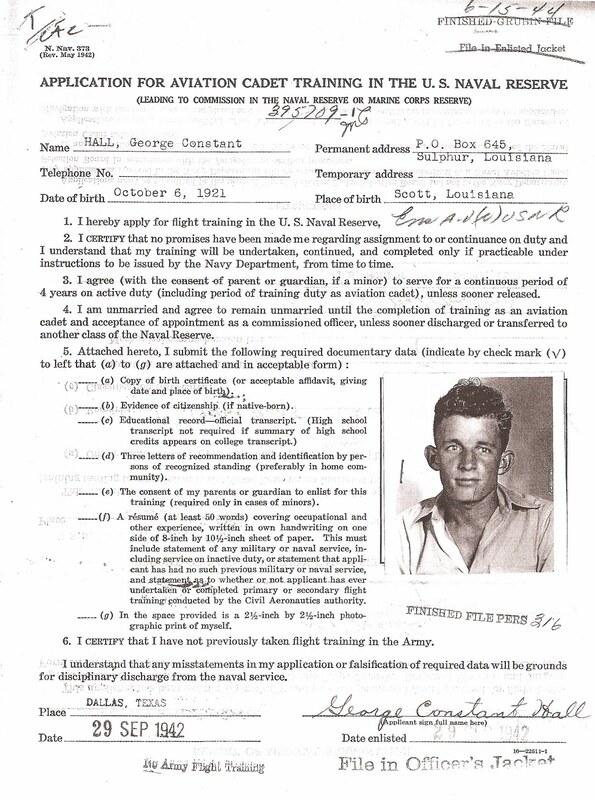 I received Dad's military personnel file last week, and am looking forward to blogging about it. Meanwhile, you can read my other posts on Dad's Navy service here. Copyright 2010 by Liz Hall Morgan. 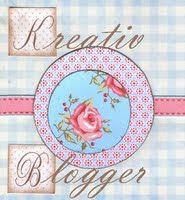 Please see my blog for licensing info.